When and where is the Semoball Awards? 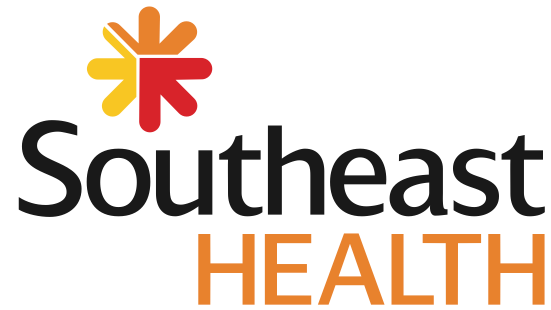 The Semoball Awards will take place July 13, 2019 at the River Campus in Cape Girardeau. All tickets (including purchased and complimentary) include entry into the red carpet experience, heavy hors d’oeuvres and an assigned seat in the venue. The ticket does not include any access to the keynote speaker. The red carpet opens at 5:30 p.m. and the show starts at 7 p.m. All attendees must present a PRINTED ticket for entry to the event. If you do not receive a printed ticket via United States Postal Service prior to the event, please go to Will Call at the River Campus the night of the event to get your seat assignment. As you enter the venue, there will be a red carpet experience with photo opportunities for all event attendees and complimentary heavy hors d’oeuvres. The show will feature various awards, contests, and the keynote speaker. As award winners are announced, they will be brought on stage to accept their award. Following the show, there will be group photos of all nominees taken on the stage. Please note: All seating is assigned by purchased date. If tickets are not purchased at the same time on the same order, there is no guarantee they will be seated near each other. All ticket holders (purchased and complimentary including athletes) will have assigned seat numbers that will be printed on the physical ticket you receive in the mail. Nominees will sit in a nominee-only area close to the stage. Other ticket holders will be seated in assigned seats in general admission. Please note: Tickets are assigned by purchased date. If tickets are not purchased at the same time on the same order, there is no guarantee they will be seated near each other. 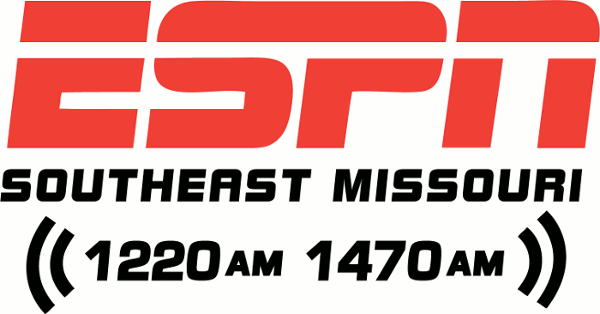 The winners are selected by a panel of sports writers representing Southeast Missouri's five daily newspapers and broadcasters from the Southeast Missouri ESPN Sports Radio Network. This is a red carpet award show; dress attire is recommended. The red carpet begins at 5:30 p.m. and the show begins at 7 p.m. You will need to enter the event space by 6:45 p.m. to be seated. The doors will be locked to the venue at 7 p.m.
All attendees (purchased and complimentary) need to bring their printed ticket to get in the event. If you did not receive a printed ticket prior to the event, you will need to go to Will Call at the River Campus the night of the event. Who will have access to the keynote speaker? The keynote speaker will be seen by the general public on stage for the keynote address portion of the show. There will be no opportunities for photos or autographs. No outside media will have access to the keynote speaker. You can find coverage of the event and photo galleries on www.semoball.com. 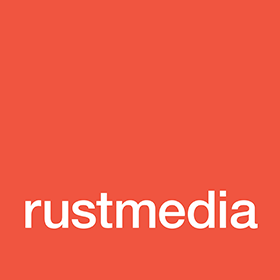 For questions, please email Jamie Phillips at jphillips@rustmedia.com with the subject line: Semoball Awards Inquiry. Do I get a ticket if I am a coach or athletic director? Athletic Directors do receive a complimentary ticket to the event regardless of whether or not a student from his or her school is nominated. Instructions for claiming a ticket will be emailed to you by March 1. Only coaches who are nominated for Coach of the Year will receive a complimentary ticket. All other coaches will have the opportunity to purchase a discounted ticket. To claim a discounted coach ticket, please email Jamie Philllips at jphillips@rustmedia.com with the subject line: Semoball Awards Coach ticket request. 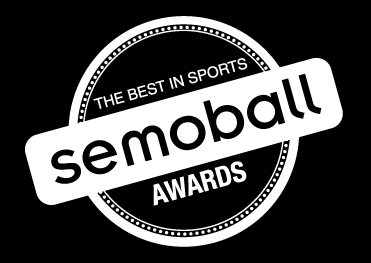 What is my role in making sure that my athletes are recognized at the Semoball Awards? Participation and responsiveness from our coaches and athletic directors are vital in order for athletes to receive recognition on this special night. 2. After nominees are announced, Athletic Directors will be notified via email and asked to provide a mailing address for the athlete if we do not have one on file. If a mailing address is not available, we ask for your assistance in letting the athlete know of his or her nomination and helping him or her claim a ticket. Instructions for claiming athlete tickets can be found under the Nominees FAQ tab. Nominees will be posted here following each selection show. You will also be contacted via email as nominees are announced. 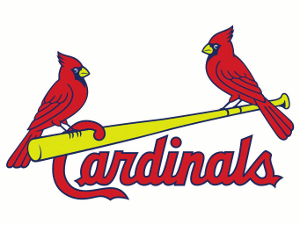 How will my nominated athlete obtain their ticket? Each nominee will receive a printed invitation via United States Postal Service with instructions and a code to claim his or her ticket. Once the athlete claims the ticket, a printed ticket with an assigned seat number will be mailed to the address entered when the ticket was claimed. If claimed before June 29, the ticket will arrive no later than two weeks prior to the event. If the athlete does not receive a printed ticket via mail before the event, he or she should come to Will Call at the River Campus the night of the event. How will ticket holders receive their tickets? All tickets purchased, or claimed if complimentary, by June 29 will be mailed via United States Postal Service and should be received no later than two weeks prior to the event. Those purchased or claimed after June 29 will be available for pick up at Will Call at the River Campus the night of the event. As a nominated coach, you will be mailed an invitation with a code to input upon reserving your tickets. You will receive one complimentary ticket and a code for two discounted tickets. After you RSVP, you will receive a confirmation email letting you know that we have received your RSVP and your tickets will be mailed to you no later than two weeks prior to the event if purchased or claimed before June 29. Those purchased or claimed after June 29 will be available for pick up at Will Call at the River Campus the night of the event. Nominees will be posted here as each season concludes. Nominees will need to claim a ticket to reserve a ticket for the event. After your name is announced or you are notified by your Coach or Athletic Director that you are a nominee, you will receive a printed invitation in the mail. This invitation will contain a code to enter when claiming your complimentary ticket online. In addition, your parents or guardian will receive an invitation with a separate code to receive two discounted tickets. How do I get my ticket and my complimentary guest’s ticket? After you RSVP, you will receive a confirmation email letting you know that we have received your RSVP. All tickets purchased or claimed if complimentary by June 29 will be mailed via United States Postal Service and should be received no later than two weeks prior to the event. Those purchased or claimed after June 29 will be available for pick up at Will Call at the River Campus the night of the event. You will need to bring your printed ticket with you to the event. I have family and friends that purchased tickets; how do they receive them? As you enter the venue on the night of the event, you will be asked to show your printed ticket for entry to the red carpet experience where there will be photo opportunities for you, your friends, and family. You will need to enter the event space at 6:45 p.m. to be seated in your assigned seat among the other nominees. If you have a prior engagement, please email Jamie Phillips at jphillips@rustmedia.com with the subject line: “Semoball Awards – Cannot Attend” to let us know you can’t make it. It is important that we know who is unable to attend the event. Nominees names will be posted here as each season concludes. Each nominee and parent will receive an invitation with instructions and any codes needed to claim tickets. How does my nominated athlete RSVP to the event? After you see your athlete’s name posted as a nominee or are notified by your Coach or Athletic Director, your athlete will receive a printed invitation in the mail. This invitation will contain a code to enter when claiming your complimentary ticket online. In addition, your parents or guardian will receive an invitation with a separate code to receive two discounted tickets. If your athlete’s name is on the nominee list (here) but has not received an invitation, please email Jamie Phillips at jphillips@rustmedia.com with the subject line: Semoball Awards Inquiry. How does my nominated athlete get their ticket and their complimentary guest’s ticket? After you RSVP, your athlete will receive a confirmation email letting you know we have received your RSVP. All tickets purchased, or claimed if complimentary, by June 29 will be mailed via United States Postal Service and should be received no later than two weeks prior to the event. Those purchased or claimed after June 29 will be available for pick up at Will Call at the River Campus the night of the event. What do I do if my nominated athlete is unable to attend the event? If your athlete has a prior engagement, please email Jamie Phillips at jphillips@rustmedia.com with the subject line: “Semoball Awards – Cannot Attend” to let us know they can’t make it. It is important that we know who is unable to attend the event. How many discounted tickets will my nominated athlete receive? Nominated athletes receive three discounted tickets; one free ticket for themselves and two discounted tickets for guests. Will I be sitting with my nominated athlete? No. Nominees will be seated in a nominee-only area in order to keep them close to the stage in case they are called on stage as a winner of an award. Complimentary guests and purchased ticket holders will have assigned seats in general admission seating. As you enter the venue on the night of the event, you will be asked to show your printed ticket for entry to the red carpet experience where there will be photo opportunities for you, your friends, and family. You will need to enter the event space at 6:45 p.m. to be seated in your assigned seat.